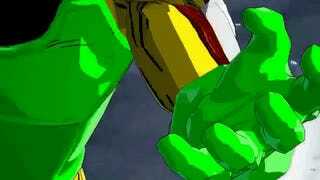 Though it’s only been out for a week, PC players of Dragon ball FighterZ have already figured out how to mod the game. The mods so far are entirely cosmetic, changing the skins of characters to give them more iconic looks from different eras of Dragon Ball Z, something that many fans have been hoping for since the game was first revealed. The process to install them seems relatively straightforward, if not a little bit tedious. Some of the skin changes seem to utilize files that were found by digging around in the game’s files, suggesting that these versions of the characters were planned at one point, intended for DLC, or modders are just simply using the skins from the in-game cinematics. Youtuber Mizumi breaks down the basics of the install process with a how-to-video and wisely suggests that any modifications only be used for cosmetic purposes, as any obvious cheats like a God Mod or anything else that gives you an unfair advantage are very likely to earn you a ban. Here are some examples I’ve seen floating around on YouTube, and plenty more are sure to follow in the coming weeks! Basically, the sooner someone makes a Buu Saga Tien, the better. Poey Gordon is a freelance writer living in the Bay Area. He also hosts Into the Wormhole, a weekly Star Trek: Deep Space Nine podcast, and Stream Me Up! : A Pop-Culture Encylopedia, both which you can follow on twitter.